It’s the best of times and the worst of times at Stewart-Haas Racing. One organization, four drivers- with two each on opposite end sides of the wheel of fortune. 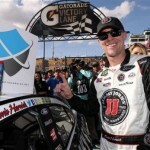 The 4 team of Kevin Harvick is on a collision course with history. Not since Richard Petty in 1974 has a driver opened the season by finishing first or second in the first four races of the season. There’s always been the argument that Jimmie’s Johnson’s success in the Chase comes as the result of his wheelhouse tracks dotting the Chase schedule. Harvick has to love NASCAR’s new schedule that features a sustained western swing that features stops at place like Phoenix, where the defending champion is a beast. Hangover? What hangover? 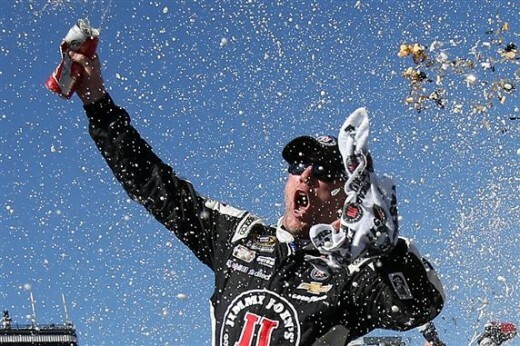 The start of the 2015 season offers ample evidence that Harvick and Company are not spoiled by success. Sunday’s race at PIR almost delivered a Hollywood script. While Kurt Busch didn’t win in his return from a three-race layoff, “The Outlaw” did snag a top-five run, looking as though he was never away. The 41 was strong from the get-go, suggesting that exemption or no, the former champ is ready to pose a challenge to Harvick. One race does not a season make, but Busch’s Phoenix portends good things. Tony Stewart fans may want to send the Stewart-Haas Racing co-owner any four leaf clovers, lucky rabbit’s feet, or any other good omens his way. While Busch has only raced once, he is 33rd in points, which puts him seven points ahead of the 35th place Stewart, who has raced all four events held thus far. Stewart’s best race thus far has been a 30th place run at Atlanta. On this St. Patrick’s Day, methinks that Stewart has not the luck of the Irish, but of another Irishman named Murphy. Whatever can go wrong has gone awry for the three-time champ. There is hope; when the weather heats up, Smoke typically does as well. Speaking of those named Patrick, there is Danica. 2015 is thought to be the make or break year for the former Indy car racer. She currently sits 23rd in points, and while that leaves her looking down at two of her more accomplished Stewart-Haas Racing teammates, this is not the kind of improvement she and her team are looking for. After cracking the top ten on three occasions last season, the closest Patrick has come is a 16th place run at AMS. 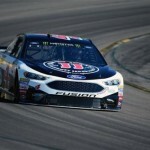 It’s one thing if you’re producing those kind of results for a start-up team or a start-and-park team; but this is Stewart-Haas Racing, allied with Hendrick Motorsports, the premier team in the NASCAR Sprint Cup Series. Whether for good reasons or bad, Stewart-Haas Racing is making its lion share of headlines in 2015. Given what’s happened so far, it’s not likely to end anytime soon. 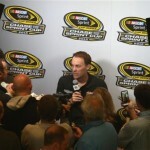 Can Harvick keep his good fortune? Is Kurt Busch the comeback driver of 2015? When or can Tony Stewart turn it around? Is Danica done after 2015? All these are stories we’ll be tracking as the season unfolds. Usually, when you think of a team, you either think of the entire team being up or the entire team being down. Stewart-Haas Racing, at least thus far, has both ends of the spectrum covered.